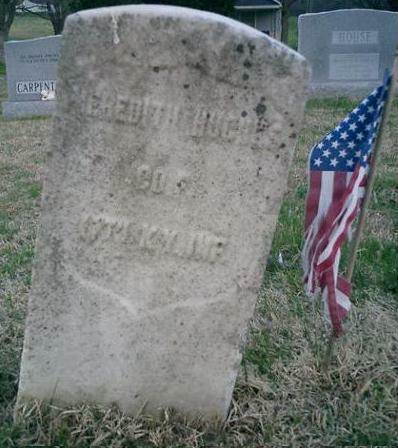 Meredith Hughes enrolled in the 17th Infantry on October 25, 1861. He was mustered in on January 4, 1862 at Calhoun for a three year enlistment in Company F. He was transfered to the Reserve Corps, date unknown. There were no other remarks in the Adjutant General's report.